Transition Mar Vista/Venice: Good Karma Gardens Yard Party! Good Karma Gardens Yard Party! EVENT DATE: Saturday, March 29, 2014, 9:00 a.m.-2:00 p.m. Calling all Good Karma Gardeners! Spring is here! The sunshine and warm breeze are calling us out to the garden. Lots of folks have asked how they can become more involved in hands-on gardening activities in the community. 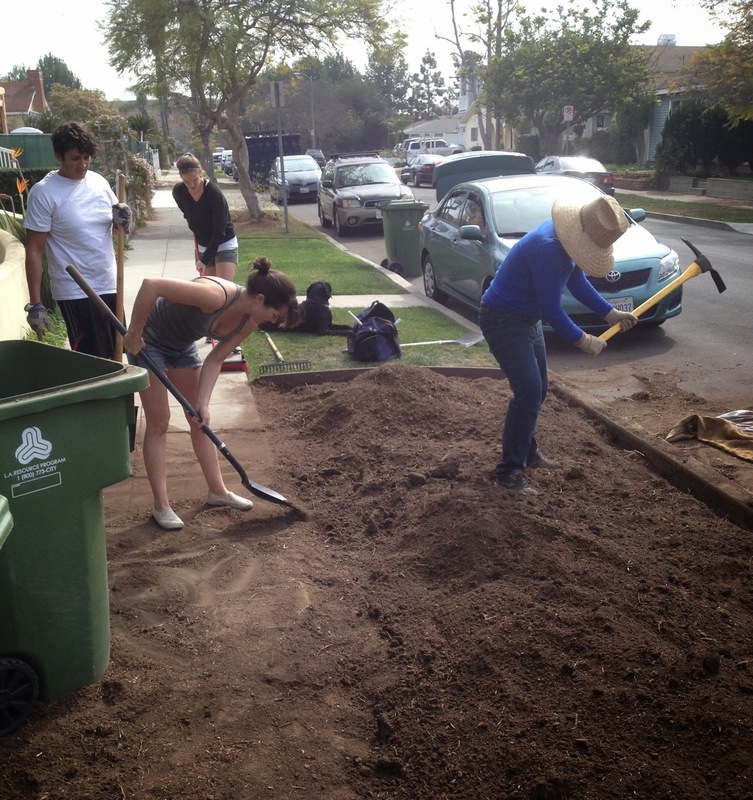 Good Karma Gardens is a pay-it-forward initiative of Transition Mar Vista/Venice that's open to all volunteers. We’ve been helping our friend Julie Mann, founder of the Learning Garden at Venice High School and a founding member of TMV/V, to rip out her grass parkway to make room for an edible garden. Julie’s house will be the TMV/V and GKG hub during this year’s Mar Vista Green Garden Showcase on April 26. The Showcase is a wonderful event where all the hard work our neighbors have put into their gardens will be in full bloom. As our friend Ginny Blades has shown in past years, it’s a great opportunity to engage with our community and spread the word about the fun and sustainable projects we are doing together. To put our best foot forward and create a beautiful garden for folks on the tour to enjoy, we’re inviting everyone to volunteer and work together at Julie’s on March 29. There are a few goals for the day: planting a vegetable garden in the front, finishing up a greywater system, beautifying areas of Julie’s backyard, and possibly even planning an herb spiral if enough volunteers commit. There will certainly be plenty to do for everyone, and with a good crew we should be able to get the space looking great for the Showcase. Wear a hat and gloves, bring your refillable water bottle, and carry along a shovel or any other tools you might have. 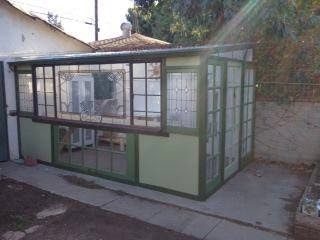 As a bonus, you'll get to see Julie's spectacular upcycled greenhouse! Good Karma Gardeners who helped Julie at the last yard party are no doubt anticipating the delicious brunch she will prepare in thanks. She makes the best French toast! Looking forward to seeing you all on March 29. Find our event on Facebook!